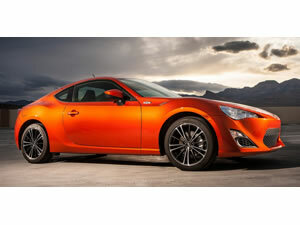 As one of the youngest car brands in the world, Scion is the third largest brand in TM after Toyota, Lexus. Scion represents the new era of personal car. You can experience the elaborate design of Scion through the new distribution system. The car is driven by the front wheel rim. The front wheel brake adopts the ventilating mode. The rear wheel rim brake is plate type. This Scion wheel rim is made of steel. The car is driven by the front wheel rim. The front wheel brake adopts the ventilating mode. The rear wheel rim brake is plate. This Scion wheel rim is made of steel. Wuxi Hengsheng Wheel Co., Ltd is a professional Scion steel wheel rim manufacturer and supplier in China. In addition to Scion steel wheel rim, we also provide other famous models steel wheels (rims) for our clients around the world, like Mercedes wheel (rim), Volkswagen wheels (rims), Mitsubishi wheel, NISSAN wheel, OLDSMOBILE wheel, PONTIAC wheel, SAAB wheel, Saturn wheel, etc. We possess a professional technology team to guarantee the manufacturing of Scion wheel rim. We will checkout all the products and give out a survey report. According to the needs of every client, there will be a dynamic balance sample survey among parts of the qualified Scion wheel rim.